It is a fact that women undergo menopause at a certain age. It is a biological process where the menstrual cycle ceases permanently due to the natural depletion of ovarian cysts. It mainly occurs in the 40’s or 50’s. 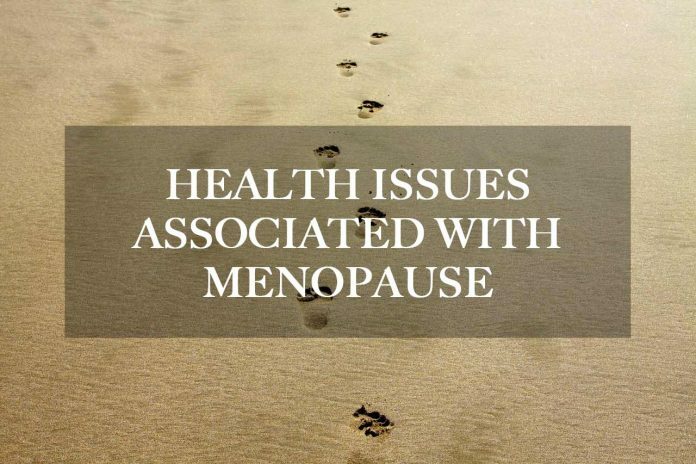 In some cases, women might become menopausal in their 30’s or even younger. This condition is known as premature menopause or premature ovarian insufficiency. Some women sail through this period easily, but for some, it becomes a nightmare and results in hot flashes and mood swings. Apart from age, menopausal changes can occur due to chemotherapy, ovarian ablation, and hormone therapy. If women have not had her period for 12 months, she is considered as postmenopausal. A doctor can easily determine the menopausal by checking FSH levels in females. Women have a lower risk of heart disease than men. Estrogen, a hormone that keeps blood vessel relaxed and balances cholesterol. After the age of 50 estrogens level starts decreasing in women and cholesterol starts building up on artery walls. By the age, 70 women become as prone as men to heart disease. Risk of stroke increases when you reach 55. The low level of estrogen play an important role in cholesterol, and during menopause, its levels start decreasing, and cholesterol starts building up on artery which leads to the brain and causes a stroke. Low levels of estrogen after menopause lead to a reduction in bone mass and put you at risk of osteoporosis. It is a condition in which bones become brittle and break easily. According to recent study women who experience hot flashes and night sweats are at a greater risk for hip fractures. It strikes women in their postmenopausal stage. According to the National Cancer Institute, in 30-year old woman the chance of having breast cancer over the next 10 years is 1 in 227, and by the age of 60, the risk increases to 28. The biggest factor for breast cancer is weight gain after menopause as per Cynthia Geyer, MD, medical director of Canyon Ranch in Lenox. Also, the American Cancer Society recommends 150 minutes of moderate exercise to reduce the risk of cancer. Women become vulnerable to autoimmune disorders post menopause. According to a study in the Journal Expert Review of Obstetrics and Gynecology lupus, rheumatoid arthritis, Grave’s disease, scleroderma, and thyroiditis rises after menopause. Low levels of estrogen weaken the urethra, and it becomes difficult for some women to hold the urine. Estrogen levels decrease with age and also liver doesn’t function the same way as it uses to. For instance, it is not able to repair the harmful effects of alcohol. Women are more susceptible to organ damage from alcohol says, Pinkerton. Women after menopause are more prone to cavities and dry mouth. Mammograms – after the age 50 till 75. Pap test and HPV test every five years. Height measurement to detect a loss in height due to bone loss. Blood, urine test for diabetes and heart disease. Blood pressure, cholesterol and other tests. You can save yourself from these health problems if you undergo women hormone replacement therapy. Women hormone replacement therapy also is known as menopausal replacement therapy (PHT) help in balancing the estrogen and progesterone levels. Women who witness a significant drop in estrogen and progesterone levels due to menopause need to go for this therapy. The daily Estrogen pill and patch are the most popular form of therapies. Apart from these many clinics which offer other types of Women hormone replacement therapies such as Cyclical HRT, Estrogen-only HRT, Continuous HRT, Local estrogen and more. What are the benefits of women hormone replacement therapy? It helps in reducing the long-term risk of Alzheimer’s and also increases muscle mass and energy levels. If you start experiencing unusual symptoms, then visit a doctor. He will examine your condition and will conduct some physical tests. Don’t hesitate to get the therapy as it is important for your well-being. Next articleHow to maximize the benefits of your Refeed Day?